Création Joyeuse et colorée de Vêtements et Accessoires Femme. Création et Fabrication à 4 Mains en Bretagne. 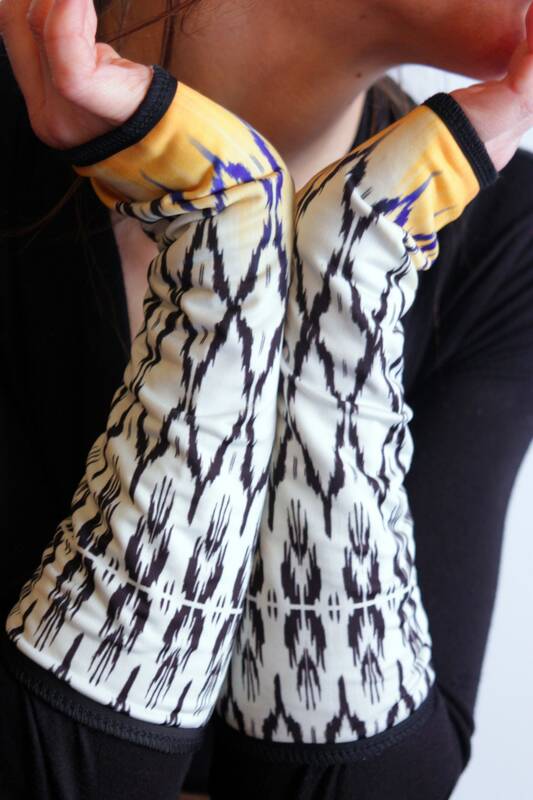 Black white yellow long mitten patterned ethnic graphic Lycra. Fully lined with cotton jersey and finished with a dash of good quality black Lycra. We choose materials soft and comfortable fine quality associated with varied prints. The finishes are made with a black Lycra that accompanies the elasticity of the Jersey. Machine wash at 30 degrees in delicate and gentle spin. Ironing at low temperature steam. After the cuffs are posted within 2-3 days, we send a confirmation email. You love the mittens too! 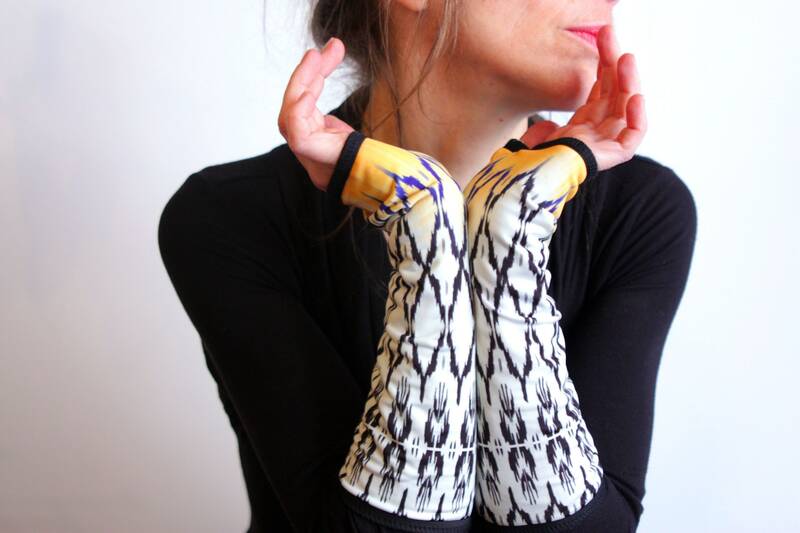 Wool Tartine declines fingerless gloves, arm warmers with envy.